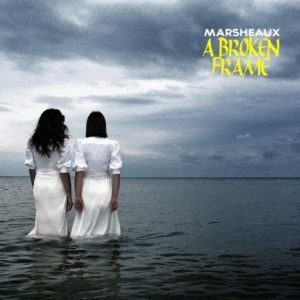 Despite their last album of original songs ‘Inhale’ having been released back in 2013, MARSHEAUX have not been idle, issuing a well-received cover album of DEPECHE MODE’s second long player ‘A Broken Frame’ in 2015. 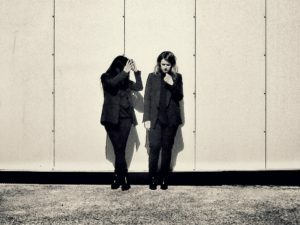 Riding on the sinewave of its unexpected success, the Athens based synth maidens toured Europe, engaging new audiences in Poland and Sweden as well as performing to the synthpop faithful in the recognised MARSHEAUX friendly territory of Germany. 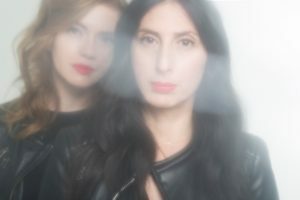 Building further on their profile following ‘A Broken Frame’, Marianthi Melitsi and Sophie Sarigiannidou made their full return with ‘Ath.Lon’ in June. The ten new songs possess a subtle tone of aggression while retaining the dreamy wispiness of classic MARSHEAUX. They also reignite the vibrant tempo spark that was perhaps missing from some of the tracks on ‘Inhale’ and artistically harks closer to ‘Lumineux Noir’, a body of work that many observers consider to be MARSHEAUX’s best. The duo will also make their first UK live appearance since 2012 on SATURDAY 5TH NOVEMBER at Norwich Epic Studios, when they play TEC004 alongside KID KASIO and RODNEY CROMWELL. Your ‘A Broken Frame’ covers album appears to have been very well received around the world. Why do you think this has been? When we started to work on ‘A Broken Frame’, we thought we should make it as if it was released in that early 80s era, but with female vocals. We managed to create that in full, on the extended version of ‘My Secret Garden’. We couldn’t do it though with tracks like ‘Monument’, ‘See You’ and ‘A Photograph of You’. With these tracks, we tried something different that turned out really nice. We liked it. It turned out that people liked it too, which makes us extremely happy. We showed respect to the original songs and the listeners felt that. The artwork was like an expansion of the original and the music was faithful to the original ideas. The audience validated our idea and we felt that it was a worthwhile attempt, a really serious work of love. Are you planning to do any more covers or is that it? We are going to release a 10 inch limited edition of ‘Get The Balance Right’. This will be the last one from the ‘A Broken Frame’ period. ‘Get The Balance Right’ was DEPECHE MODE’s first single after the release of ‘A Broken Frame’, but it never appeared on ‘Construction Time Again’. So you can tell that it belongs to the same period. Your set at Electronic Summer 2015 in Gothenburg was very well received by the audience. So what’s so special about Sweden? People from Sweden have an unbelievable awareness about electropop music. They do appreciate a good concert and they are in no way a ‘dead’ audience. Even in-between live performances, they were dancing to ROBERT MARLOW and THE SILICON TEENS’ singles. It was absolutely fantastic. We were supposed to be backstage, but we spent most of the time hanging around with people. 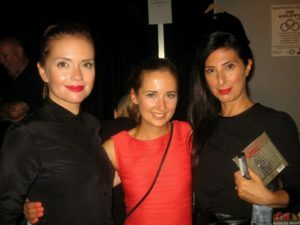 We had a great time at Electronic Summer in Gothenburg. As a result, you were asked by VNV NATION to support them on their recent tour of Germany. How did you find connecting with their audience in a live context as VNV’s music is quite different from your own? The new album is called ‘Ath.Lon’, how do you explain its concept? ‘Ath.Lon’ is our first album that was being worked in two countries. We worked on five tracks in Greece and the rest of the album was done through a lot of emails and plenty of London-Athens back-and-forth travelling. That is how the title came out. You chose ‘Safe Tonight’ to launch the album? It’s a classic Marsheaux track. It follows our tradition for uplifting summer songs. It’s ideal for driving. We love it a lot. 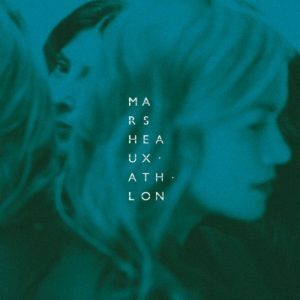 ‘Ath.Lon’ appears to showcase a subtle, but more aggressive side to MARSHEAUX like on ‘Burning’, how has that come about? Actually, only ‘Burning’ is a bit aggressive. All the other tracks are pure pop. We like working on those sorts of tracks – more aggressive – but we always end up with pop songs. It seems that our pop side is stronger than the aggressive one. 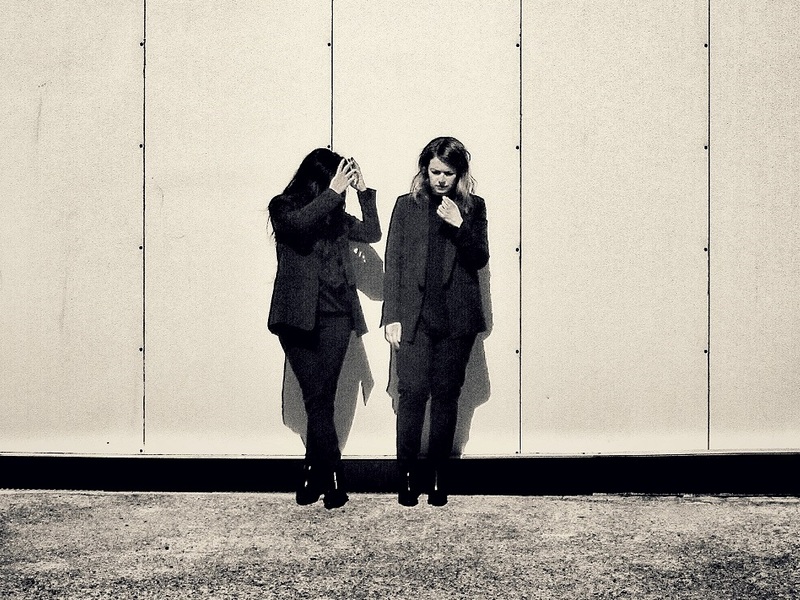 ‘Strong Enough’ sounds a bit like CHVRCHES, are they the saviours of synthpop? CHVRCHES are fantastic. You can’t find a mediocre song on their albums and they have managed to have this amazing balance between the strong compositions, the vocals you can’t easily forget and this huge production. We like them a lot and we are very happy to see that they get the success they deserve. So “It’s The Beginning Of The End”? How did you decide which songs ended up on ‘Ath.Lon’ and others like ‘Butterflies’ and ‘Treasure’ were bonuses? We tried to make the final ten track listing at least ten times! Each time, we added a different track in. Finally we asked George and Nick from Undo Records to do it for us, so they decided for the final track listing. We gave up, it was hopeless. Which are your favorite songs on ‘Ath.Lon’? Sophie changes her mind every time. Now it’s ‘The Beginning Of The End’. It’s the ‘Sorrow’ track of ‘Ath.Lon’. Mellow and epic at the same time, we always try and put a track that is not strictly electropop. Marianthi loves ‘Like A Movie’, it makes her feel positive and happy. You’re still doing remixes for other artists and the latest one ‘Dirty Air’ for KID MOXIE appears to have a big DM influence? KID MOXIE was the last one we did. We stopped doing remixes to concentrate on our new album. But Elena’s original track was very good and we couldn’t resist it. Have you tried these new old styled synths like the Prophet 12, Pro2 or Korg ARP Odyssey? We tried Korg’s Monotrons, but they’re like toys. After a while you get bored of them. We prefer messing with our Polysix or Monopoly instead. We haven’t checked Prophet 12 yet though. It’s always a pleasure to play in front of the TEC crowd. We love to play in front of people who know our songs and what MARSHEAUX is all about. TEC was there for us from the very beginning. You can’t turn your back on this. You appear more comfortable with live work than in the past? That is true. Being on stage is not our absolutely favourite part of the procedure. Although with years of having all these lives, it is much better. We always have a ritual before going on stage that makes it kind of easier. Maybe we got to be in front of huge audiences too early, it was kind of a shock. Either way we manage today to have a confidence and be more communicative. What the world needs right now in these turbulent times is love? We always loved talking about love in our songs. Love is the driving force in everything. Sometimes it is really hard to express it in a song within two verses and two choruses. We really envy people that can do that fluently. In many occasions, we’ve discussed about OMD using the word love in ‘Junk Culture’ for the first time. It is so weird. How do you feel about how the electronic scene is developing now, especially with acts like YEARS & YEARS being called synthpop? How can you put YEARS & YEARS and CHVRCHES under the same roof? YEARS & YEARS are NOT synthpop. 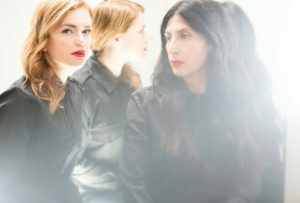 Placing two synthesizers in front of a band doesn’t make them a synthpop band. Synthpop is a lot of other things, not just a synthesizer. Apart from the music, there is also the attitude in a band. Υou can tell DURAN DURAN’s debut is synthpop, even if there are real drums, bass and guitar on all tracks. We saw an article that said they were “an electronic band with a heavy rock guitarist bolted on”. It’s the same with ULTRAVOX and many other bands. For sure you can’t say that YEARS & YEARS are synthpop. Maybe the production is electronic, but the entire attitude is not. With a different production the album would be like ADELE! Would you call ADELE’s ‘Send My love (To Your New Lover)’ synthpop? No, but with a different production it would stand as synthpop, if we accept that YEARS & YEARS are synthpop. You could make a superb hypnotic electro dance track with ADELE’s ‘Send My Love (To Your New Lover)’, which is an absolutely fantastic track. On the other hand, we are really happy that the electronic scene is growing and growing well through the other music genres. 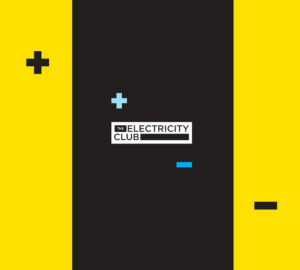 You hear electro hip-hop from artists like KANYE WEST, or totally electro synth tracks from totally pop artists like KATY PERRY and TAYLOR SWIFT. This is a fantastic period. So much beautiful stuff to listen to!